NBC 7 Nicole Gomez reports. The new owners of the now-defunct Horton Plaza shopping center have released the first images of what they hope will become a high-tech office space and lifestyle center, though it must be approved by the city first. The Campus at Horton is the brainchild of Stockdale Capital Partners, a commercial real estate firm based in Los Angeles, that wants to turn the million-square-foot shopping center into a mix of retail and office space that could appeal to Silicon Valley technology companies. Before the project can become a reality, though, the project must get approval from the San Diego City Council. It will first be presented to the city's Economic Development and Intergovernmental Relations on Thursday. 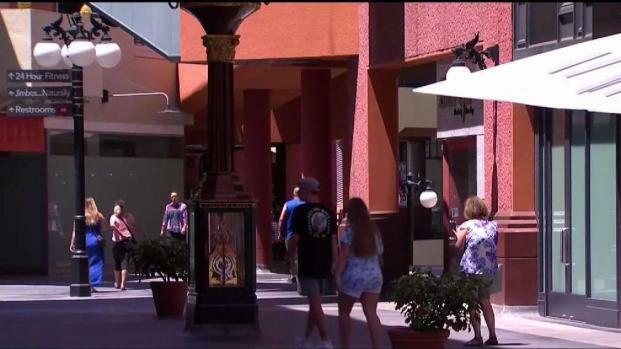 The committee will consider revising the deed to Horton Plaza, which currently mandates that 600,000 square feet of the property be leased as retail space. The mandate would be cut in half if the deed is approved. In return, Stockdale Capital would provide two security guards for Horton Plaza Park and redevelop the adjacent Bradley Building. The firm will also extend the Lyceum Theatre's lease, though the number of years was not specified. 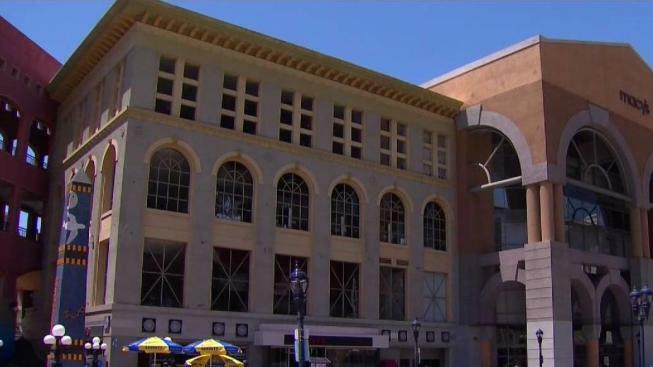 The images released Wednesday by Stockdale Capital show the exterior of a glass, multi-level building at the corner of First and G streets in downtown San Diego, what was once a Nordstrom at the shopping mall. The interior of the building has an open-space concept, with multiple levels opening up to one central point, while an outdoor deck acts as a gathering space for tech employees and visitors. The LA-based real estate investment firm said the space would be able to house 3,000 to 4,000 tech jobs and an estimated $1.8 billion boost in annual economic activity with just the first phase of development alone. 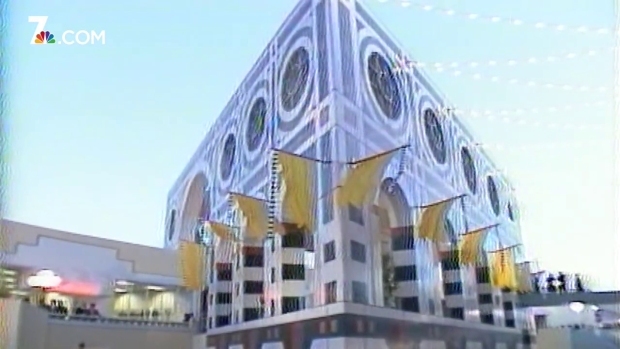 As Dennis Morgino reports, media from around the world traveled for the opening of the shopping center in the heart of downtown San Diego on August 9, 1985. On top of creating a modern office space, the Campus at Horton will be transformed with high-end restaurants and retail spaces that will serve both employees and community members, according to the firm. If the proposal passes council, Stockdale Capital plans to begin construction this year and complete the Campus at Horton in 2020. According to the company’s website, Stockdale Capital owns a variety of properties in the southwest including medical and corporate plazas, hotels and apartments. The mall is being sold to a firm that specializes in buying and improving under-performing commercial real estate. NBC 7's Megan Tevrizian reports from downtown. Horton Plaza opened in 1985 and was once considered the crown jewel of downtown but it became something of an eyesore in recent years. When it first opened, it was considered a landmark of urban design, according to The Los Angeles Times. Before the property's sale was complete, empty storefront littered the property and the halls were lined with more homeless people than shoppers. Stockdale Capital boasts that its company has experience transforming failed shopping centers into high-tech office hubs.